Based in Middlesex we are local and friendly offering painting and decorating services, Electrical works, landscaping, property development management and general house maintenance. All our work is guaranteed. 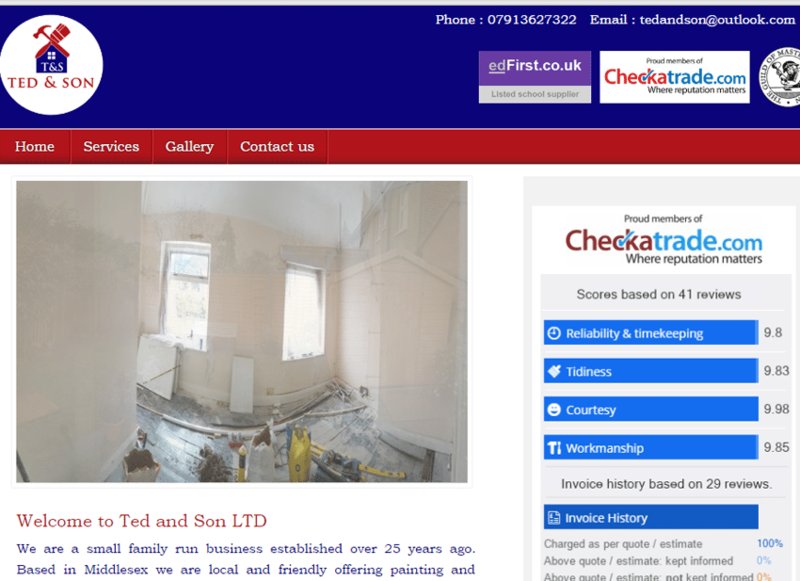 Ted and son LTD are proud members of Checkatrade, The Guilds of Master Craftsmen and approved private school contractors.